Newly published research shows that a saliva-based biomarker panel and associated algorithm could improve the ability to accurately identify children with autism spectrum disorder (ASD) in its earliest stages, according to Quadrant Biosciences. Researchers demonstrated that a panel of 32 small RNAs could differentiate children with autism from children exhibiting typical development or non-ASD developmental delay with 85% accuracy. This test accuracy was achieved both during the model development and during validation of the test in a separate set of children. The study (‘Validation of a salivary RNA test for childhood autism spectrum disorder”) was published online in Frontiers in Genetics by Steven Hicks, M.D., Ph.D., assistant professor at the Pennsylvania State College of Medicine and Frank Middleton, Ph.D., associate professor at SUNY Upstate Medical University in collaboration with scientists from Quadrant Biosciences. “The diagnosis of ASD relies on behavioral assessment. Efforts to define biomarkers of ASD have not resulted in an objective, reliable test. Studies of RNA levels in ASD have demonstrated potential utility, but have been limited by a focus on single RNA types, small sample sizes, and lack of developmental delay controls. We hypothesized that a saliva-based poly-“omic” RNA panel could objectively distinguish children with ASD from their neurotypical peers and children with non-ASD developmental delay,” write the investigators. “This multi-center cross-sectional study included 456 children, ages 19–83 months. Children were either neurotypical (n = 134) or had a diagnosis of ASD (n = 238), or non-ASD developmental delay (n = 84). Comprehensive human and microbial RNA abundance was measured in the saliva of all participants using unbiased next-generation sequencing. Prior to analysis, the sample was randomly divided into a training set (82% of subjects) and an independent validation test set (18% of subjects). The training set was used to develop an RNA-based algorithm that distinguished ASD and non-ASD children. The validation set was not used in model development (feature selection or training) but served only to validate empirical accuracy. “In the training set (n = 372; mean age 51 months; 75% male; 51% ASD), a set of 32 RNA features (controlled for demographic and medical characteristics), identified ASD status with a cross-validated area under the curve (AUC) of 0.87 (95% CI: 0.86–0.88). 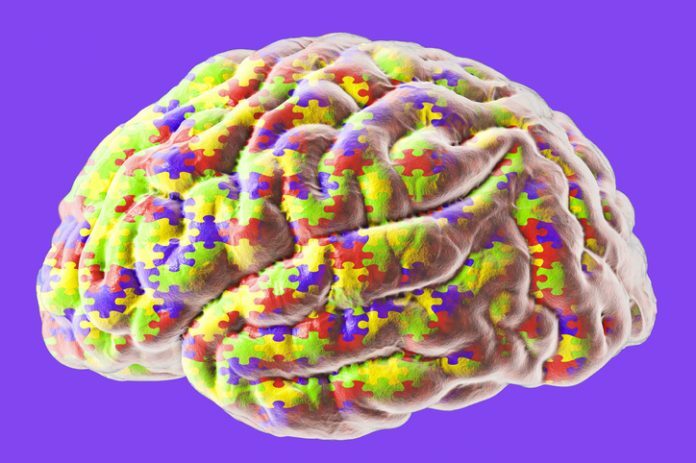 In the completely separate validation test set (n = 84; mean age 50 months; 85% male; 60% ASD), the algorithm maintained an AUC of 0.88 (82% sensitivity and 88% specificity). Notably, the RNA features were implicated in physiologic processes related to ASD (axon guidance, neurotrophic signaling). “Salivary poly-omic RNA measurement represents a novel, noninvasive approach that can accurately identify children with ASD. This technology could improve the specificity of referrals for ASD evaluation or provide objective support for ASD diagnoses, concluded the team. Screening for autism typically relies on a parent-based questionnaire called the Modified Checklist for Autism in Toddlers Revised (MCHAT-R). Children with a positive MCHAT-R score are generally referred for diagnostic evaluation. However, due to the high number of false-positive results on the MCHAT-R, wait times for autism evaluation often exceed one year.